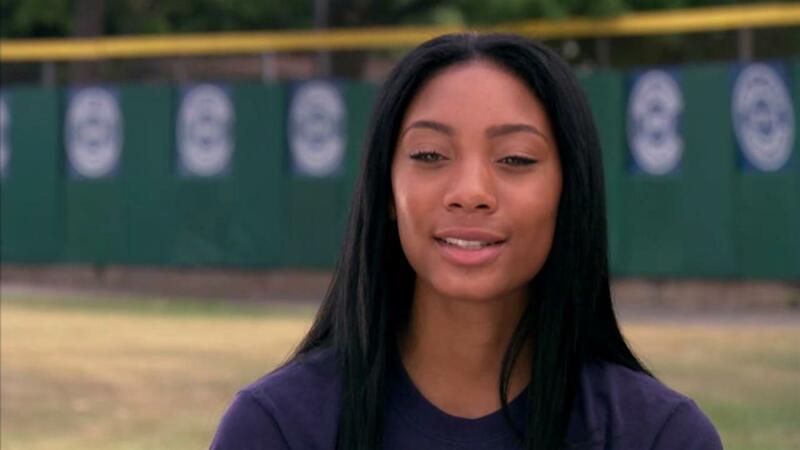 Remember Mo'ne Davis? Even if you don't watch the Little League World Series, you probably do remember her. As a 13-year-old, Davis was notable for being a girl who was pitching, and dominating, representing Philadelphia Little League baseball. It was a cool story that once again opened up (valid) questions why girls are pushed into softball. However, Davis is 15 now, and her focus has turned to trying to dominate the basketball court like she used to dominate the baseball diamond. The now 15-year-old Davis is not going to be playing with her high school's basketball team as a sophomore. Instead, she will be playing with Philly Triple Threat, a local AAU team. She's set her sights on a future as a WNBA player, and she feels that playing AAU ball will increase her chances of getting recruited by a college to play hoops. "I made the decision because it was time to start getting out there in front of college coaches and showing my improvement over the next two years," she said. Obviously, there is a long way to go between being a 15-year-old high-school sophomore and playing college basketball at a legitimate program, let alone the WNBA. However, it would seem foolish to count Davis out. We've seen that she has some skills on the court. She certainly made Kevin Hart look bad, although that isn't all that hard. It would not be surprising if we hear from Davis again in a few years. Also, in case you were wondering, she does still play baseball on the occasion. The fact that softball is joining the Olympics in 2020 doesn't interest her at all. If we ever see Davis in the Olympics it will be on a basketball court. Love this! Thanks whoever made this.